It certainly is the calmest of all winter sports. Snowshoes were invented in the high north where people had to find a way of moving through snowy fields and forests in winter. 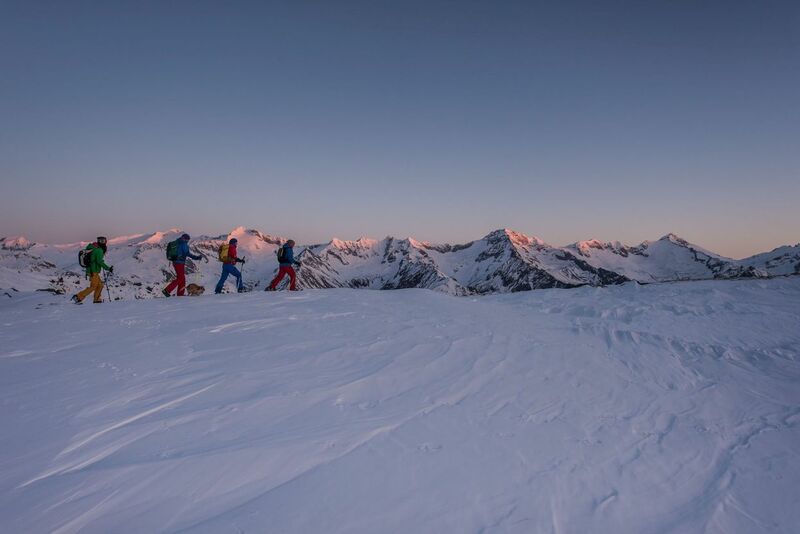 In the Alps, snowshoes have developed into a popular winter sports equipment which allows us to discover a whole new (and very beautiful) side of the cold season. This tour is facilitated by the use of the Speikboden ski lift. With the lift's help we gain height easily and effortlessly. On a wide mountain ridge, we will be walking eastward on gentle ascents and descents, eventually descending to the mountain hut Treyer Alm. Our experienced hiking guides will accompany you into a winterworld of fascination and unforgettable impressions.